Bright is a town in northeastern Victoria, Australia, 319 metres above sea level at the southeastern end of the Ovens Valley. Explore hidden gems such as Canyon Walk and Tirol Sports. Take a break from the city and head to Stringybark Creek Historic Reserve and Falls Creek Cross Country. Change things up with these side-trips from Bright: Bharatralia Jungle Camp (in Mitta Mitta) and Milawa (Brown Brothers & Hurdle Creek Still). It doesn't end there: take some stellar pictures from Sullivans Lookout. To see traveler tips, more things to do, ratings, and more tourist information, refer to the Bright online trip builder . Sydney to Bright is an approximately 5-hour flight. You can also drive. Traveling from Sydney in April, you can expect nighttime temperatures to be little chillier in Bright, with lows of 8°C. Finish up your sightseeing early on the 20th (Sat) so you can travel to Wilsons Promontory National Park. Alberton Cemetery and Cape Liptrap Lighthouse will appeal to history buffs. Get outdoors at Mt Oberon Summit Walk and Squeaky Beach. Step out of Wilsons Promontory National Park with an excursion to Cape Liptrap Coastal Park in Walkerville--about 1 hour away. Spend the 21st (Sun) exploring nature at Wilsons Promontory National Park. Spend the 22nd (Mon) exploring nature at Little Waterloo Bay. Next up on the itinerary: kick back and relax at Picnic Bay. For traveler tips, ratings, photos, and tourist information, refer to the Wilsons Promontory National Park online trip itinerary builder . Getting from Bright to Wilsons Promontory National Park by car takes about 6 hours. Wrap up your sightseeing on the 24th (Wed) early enough to travel to Lorne. Lorne is a seaside town on Louttit Bay in Victoria, Australia. You'll discover tucked-away gems like Kennet River Koala Walk and Lorne Beach. Get in touch with nature at Anglesea Bike Park and Coogoorah Park Nature Reserve. The adventure continues: don't miss a visit to Split Point Lighthouse, admire the sheer force of Erskine Falls, and look for gifts at Great Escape Books. For maps, ratings, more things to do, and tourist information, read our Lorne online trip itinerary planner . Traveling by car from Wilsons Promontory National Park to Lorne takes 4.5 hours. Expect a daytime high around 24°C in April, and nighttime lows around 11°C. Finish your sightseeing early on the 27th (Sat) to allow enough time to drive to Port Campbell. Port Campbell is a coastal town in Victoria, Australia. Get in touch with nature at Gibsons Steps and Childer's Cove. Discover out-of-the-way places like Port Campbell precinct and foreshore and Great Ocean Walk. Venture out of the city with trips to Otway Fly Treetop Adventures (in Weeaproinah) and Mait's Rest (in Apollo Bay). Spend the 28th (Sun) exploring nature at Port Campbell National Park. 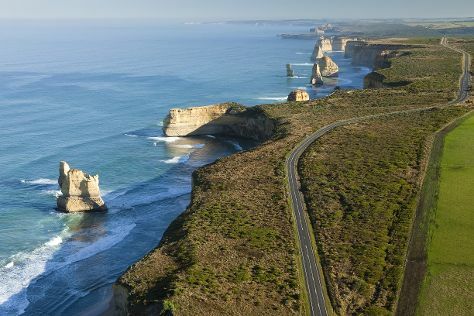 Next up on the itinerary: take some stellar pictures from Loch Ard Gorge and explore the striking landscape at London Bridge. To see traveler tips, other places to visit, reviews, and other tourist information, refer to the Port Campbell vacation planning site . Traveling by car from Lorne to Port Campbell takes 2 hours. Alternatively, you can take a bus. Finish your sightseeing early on the 1st (Wed) to allow enough time to drive to Halls Gap. Escape the urban bustle at Climbing Tours and Grampians Adventure Golf. 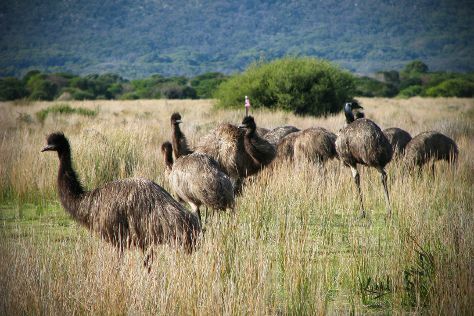 You'll explore the less-touristy side of things at Grampians National Park and Chatauqua Peak. Explore Halls Gap's surroundings by going to Dunkeld (Chimney Pots & Mt Sturgeon). The adventure continues: take in the dramatic scenery at MacKenzie Falls, learn about wildlife with up-close encounters at Halls Gap Zoo, and do a tasting at Fallen Giants. To find out how to plan a trip to Halls Gap, use our trip itinerary maker. You can drive from Port Campbell to Halls Gap in 3 hours. Another option is to take a bus. Cap off your sightseeing on the 5th (Sun) early enough to go by car to Ballarat. Take a break from the city and head to Hepburn Mineral Springs Reserve and Hepburn Lagoon - Trail Rides. Eschew the tourist crowds and head to Lydiard Street and St Augustine's Church. Change things up with these side-trips from Ballarat: Lake Daylesford (in Daylesford) and Hepburn Springs Golf Club (in Hepburn Springs). There's much more to do: take in the spiritual surroundings of St Patrick's Cathedral, take in the exciting artwork at Art Gallery of Ballarat, contemplate the waterfront views at Lake Wendouree, and admire the natural beauty at Ballarat Botanical Gardens. For where to stay, ratings, maps, and tourist information, use the Ballarat online holiday maker . Traveling by car from Halls Gap to Ballarat takes 2 hours. Alternatively, you can do a combination of bus and train; or take a bus. 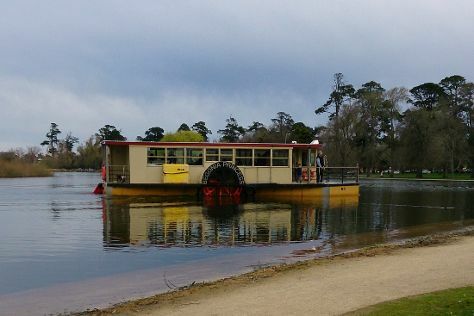 May in Ballarat sees daily highs of 20°C and lows of 8°C at night. Finish your sightseeing early on the 8th (Wed) to allow enough time to drive to Bendigo. You'll explore the less-touristy side of things at Rosalind Park and National Holden Motor Museum : Echuca. Deepen your sense of the past at sights like Main Street and Eaglehawk Log Lock Up. Explore Bendigo's surroundings by going to Castlemaine Diggings National Heritage Park (in Chewton), Maldon General Cemetery (in Maldon) and Echuca (Port of Echuca Discovery Centre & Bandicoot Brewing Pty Ltd). The adventure continues: ponder the world of politics at Eaglehawk Town Hall, explore the activities along Lake Weeroona, admire the striking features of Sacred Heart Cathedral, and explore the world behind art at Bendigo Art Gallery. Drive from Ballarat to Bendigo in 1.5 hours. Alternatively, you can take a bus; or take a train. Finish your sightseeing early on the 12th (Sun) so you can drive to Melbourne. Visit William Ricketts Sanctuary and St Paul's Cathedral for their historical value. Step out of the city life by going to Bells Beach and Eastern Beach Reserve. 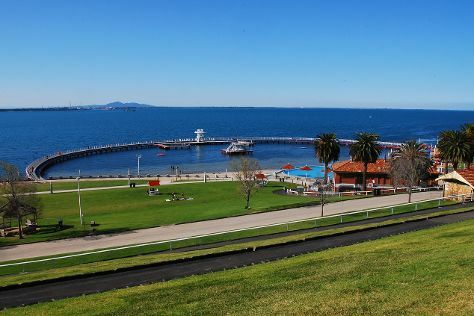 Change things up with these side-trips from Melbourne: Spas (in Torquay), National Vietnam Veterans Museum (in Newhaven) and Phillip Island Wildlife Park (in Cowes). There's much more to do: explore the different monuments and memorials at Historic St Andrew's Anglican Church, take in the awesome beauty at Dandenong Ranges National Park, get the lay of the land with Walking tours, and step off the mainland to explore Churchill Island. For other places to visit, ratings, traveler tips, and tourist information, you can read our Melbourne road trip site . You can drive from Bendigo to Melbourne in 2 hours. Alternatively, you can take a bus; or take a train. May in Melbourne sees daily highs of 20°C and lows of 9°C at night. Wrap up your sightseeing on the 16th (Thu) early enough to travel back home.